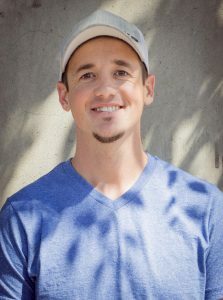 Justin Neff Providing FREE Money-Saving Analyses Through August | BendTel Inc.
Every business owner has a variety of recurring expenses. But over time, they can really add up, contributing a substantial portion of your overhead. It’s wise to take a closer look at recurring costs on a regular basis to see if your business really needs what you’re paying for. For instance, are your employees actually using that company gym membership? Does your phone & Internet bill really need to be that high? Justin Neff, Account Executive & Technology Consultant at BendTel, can help. Neff is offering free analysis of your business phone & Internet costs through the end of August. The offer is open to all area businesses. Neff, who has been in the telecommunications industry for over 16 years, is equally familiar with the latest phone systems (including hosted systems & premise-based systems), as well as the most current service technologies. He notes that many businesses are missing significant savings opportunities afforded by new technologies, and looks forward to helping you identify them. For more information on the FREE phone & Internet analyses, contact BendTel at 541-389-4020, and ask for Justin Neff.